The Chrome team announced today the release of Chrome 21 to the Stable Channel. 21.0.1180.57 for Mac and Linux. 21.0.1180.60 for Windows and Chrome Frame. Chrome 21 contains a number of new features including a new API for high-quality video and audio communication and let users drag and drop files from the desktop onto the browser to edit, upload, share, etc. Chrome now includes the getUserMedia API, which lets you grant web apps access to your camera and microphone without a plug-in. The getUserMedia API is the first step in WebRTC, a new real-time communications standard which aims to allow high-quality video and audio communication on the web. The getUserMedia API also allows web apps to create awesome new experiences like Webcam Toy and Magic Xylophone. In Chrome Web Lab, if you're on the latest version of Chrome, the Sketchbots experiment uses getUserMedia to let you take a picture of your face, which is then converted to a line drawing and sent to a robot in the Science Museum in London. 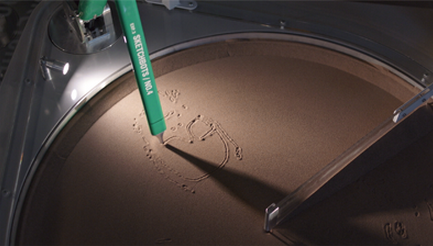 The robot then draws out your portrait in a patch of sand, which you can watch live on YouTube and visitors can watch in person at the museum. It’s just about as crazy as it sounds, and twice as cool. Stable channel release includes deeper Google Cloud Print integration, expanded support for gamepads, and support for high-resolution Mac Retina screens.